Every night I put my children to bed. They get drinks, use the bathroom, say our prayers together…….then there is that phrase “good night! Sleep tight! Don’t let the BED BUGS bite!”. I’m not exactly sure who even came up with that, but I do know, if you actually start to think about bed bugs biting, the hairs on your head, neck, and arms will raise! Not everyone has had to deal with bed bugs. In the 1950’s, DDT was invented and that made dealing with bed bugs so much easier, and they became less common in the Unites States. But recently, these nasty little creatures have made a come back, and they don’t seem to be going anywhere anytime soon. So what exactly are bed bugs you may ask. They are a small insect, less than ¼ inch in length and can live up to 2 years. They reproduce by laying small eggs, that are in white in color, in clothing, furniture, and sheets. Bed bugs carry all sorts of diseases, but there hasn’t been any evidence to suggest that they can transfer these diseases to humans. They eat human blood, which is what makes their bite so painful. So how do you control these nasty insects? It is a tricky process, and one that will require professional help. But here are somethings you can do to help prepare for the bed bug treatment. Use a flashlight and inspect all the areas around your bed, and in your bed. You may see small blood spatters—this is a telltale sign of bed bug activity. Make sure to check the bed frame as well, or if there are crevices around the bed where they can hide. You can place glue traps around the perimeter of the bed. If you find any bed bugs in the traps, call a professional right away. 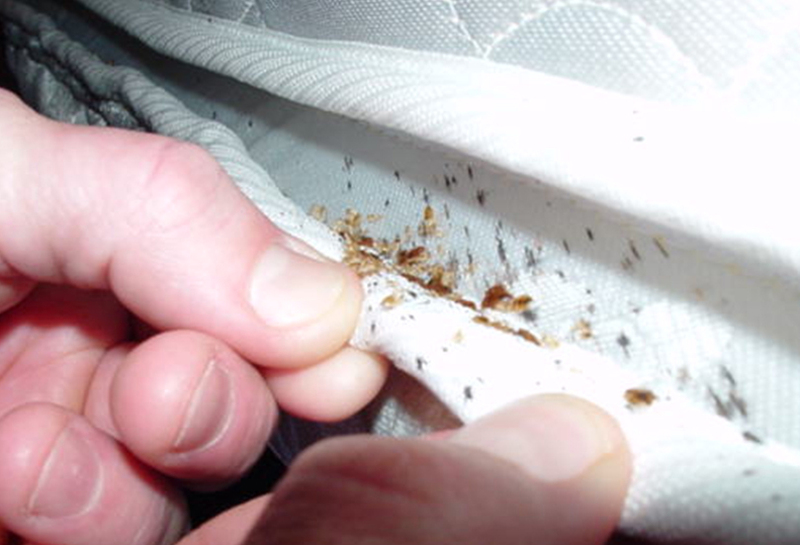 If bed bugs are biting you, the bits are usually in a straight line along the body, with small indentations in the center of each bite. Don’t panic and throw away all your mattresses. And don’t start fogging and using insecticides! Bed bugs are great at hiding, and the treatment needs to be focused. If you have bed bugs, don’t stay over at other people’s houses. That will just spread around the problem.